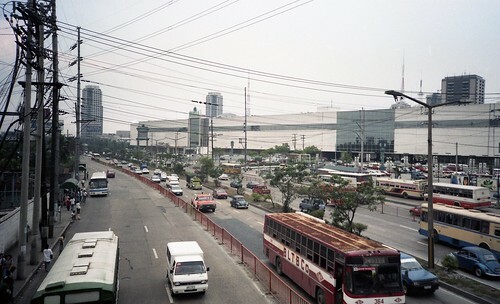 EDSA is an acronym for Epifanio de los Santos Avenue. A 23.8 kilometer long stretch of road in Metro Manila named after Epifanio de los Santos, a Filipino Historian. Its original name was 19 de Junio after Jose Rizal’s birthday. Later renamed to Highway 54, and finally Epifanio de los Santos Avenue in 1959. Because of its length, Manilans shortened it into EDSA. EDSA is also synonymous to a historic revolution that ousted former president and dictator Ferdinand E. Marcos in February 1986. The event took place in EDSA, the history books call it the EDSA Revolution.